In a classic 2008 Fred Wilson post called Trading Analog Dollars For Digital Pennies, the legendary venture investor quotes then NBC Universal CEO Jeff Zucker, who famously warned the media industry "that we do not end up trading analog dollars for digital pennies." Just like the media industry struggles, these traditional retailers are struggling because they are failing to adapt and embrace the opportunities that this new demand driven era has presented. For starters, their analog business has significant physical costs. By far, the biggest cost on every retailer’s balance sheet is inventory. Retail buyers talk about “open to buy”—their budget to buy more inventory—which is a constraint. Physical shelf space is another constraint. With inventory costs and limited shelf space, retailers’ sales are limited by how much inventory they can buy and how quickly they can sell it. When the internet came along, nearly every retailer treated their ecommerce site just like another store. They applied their analog business model to a digital world, limiting their upside. 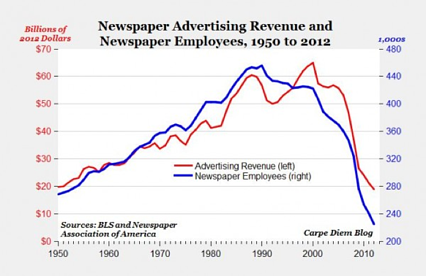 Contrast that with today’s biggest internet retailers in the world. The combination of Alibaba, Amazon’s Marketplace, and Ebay alone generates over 40% of global ecommerce sales. These retailers are winning by applying a new strategy in the demand driven world. While Amazon justifiably dominates the business headlines, it’s worth noting that last year Alibaba became the biggest retailer in the world. Not ecommerce retailer. Retailer. Bigger than Amazon. Bigger than Walmart. Alibaba will generate more than $500 billion in retail sales this year. Alibaba became the biggest retailer in the world by deploying the ultimate demand driven world strategy. More recently, vertical online retailers are experiencing comparable success thanks to adopting similar strategies. Think Wayfair, Zalando, 1st Dibs, and Etsy, or rising ecommerce players like children’s clothing, accessories, and homegoods retailer Maisonette or jewelry retailer Ice. Wayfair, for example, generates over $4 billion in retail sales by selling 8 million products from 10,000 manufacturers. In a demand driven world Wayfair dwarfs the online sales of every traditional homegoods retailer. More specifically, though, Wayfair’s massive product assortment is what truly differentiates it. Most traditional homegoods retailers, constrained by their analog business model, sell less than 1% of the products available to sell on Wayfair. In fact, many are less than 0.1%. In a demand driven world, Wayfair is winning because they offer 8 million products while traditional homegoods retailers offer 8,000. 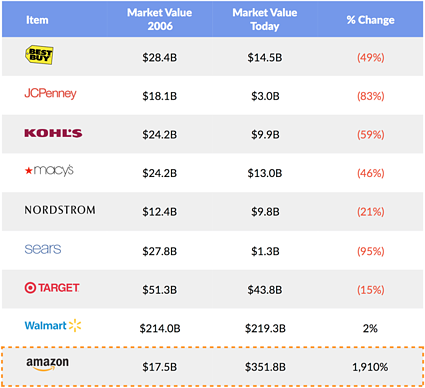 Similarly, Amazon dwarfs department stores and specialty stores with their product assortment. ScrapHero estimates that Amazon offers nearly 400 million products. 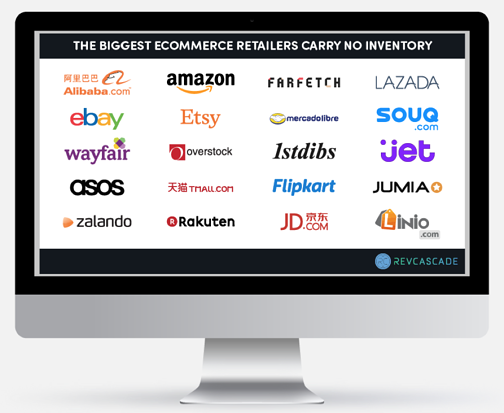 The biggest ecommerce retailers all share one common thread: They carry no inventory. In this shift from analog to digital, from a supply driven world to a demand driven world, what should traditional retailers big and small do in order to thrive in the future? 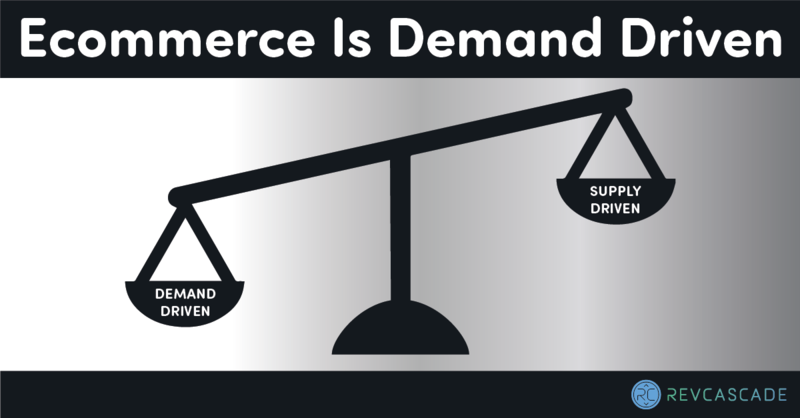 The answer is quite simple: In a demand driven world, retailers must think differently about their supply.